Renault India always tries to provide unique concept vehicles to our valuable Indian customer’s. 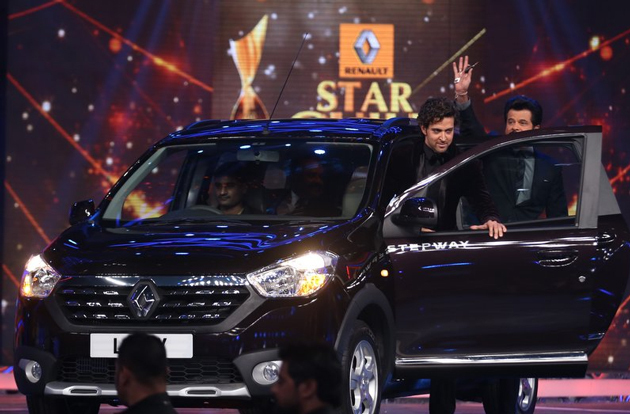 The Company was recently showcased to the new Renault Lodgy Stepway in India. The New Renault Lodgy Stepway continues to feature the same spacious, modular cabin but now adds head-turning looks. Mr. Sumit Sawhney, CEO and MD of Renault India said, “Renault India will be launching the new Lodgy and higher-end Stepway trims in India.” Renault Lodgy Stepway expected to launch in one of five colours, namely Azurite Blue (exclusive for the Stepway version), Comète Grey, Pearlescent Black, Platine Grey and Glacier White. Renault Lodgy Stepway expected to launch with price INR 7-10 lakhs, ex-showroom Delhi and launch date around April 2015.